For driving your leads for sale twitter can be one of the best options. But often people just think that it’s very easy to make use of Twitter for branding their business, which is a wrong idea. You have to take time out for optimal use of your presence over Twitter. Check out some these tips for a better return over Twitter! One of the very important factors for branding is setting up a good profile background. A great profile background is a good piece of visual which you share with others. Use pictures with same style: lighting, positioning etc. and also a common background for the photos will represent your company in some way. You can hire a freelance photographer to click pictures for your employees. The goal here is all about creating consistent profile images across the company. Naming profiles is a very important part of Twitter. Consistent profile names give an identity to your brand and a presence to your existence. If you are using the name of your company and share the same pattern for all employees it helps you to be consistent in your approach and speaks a lot about your company. 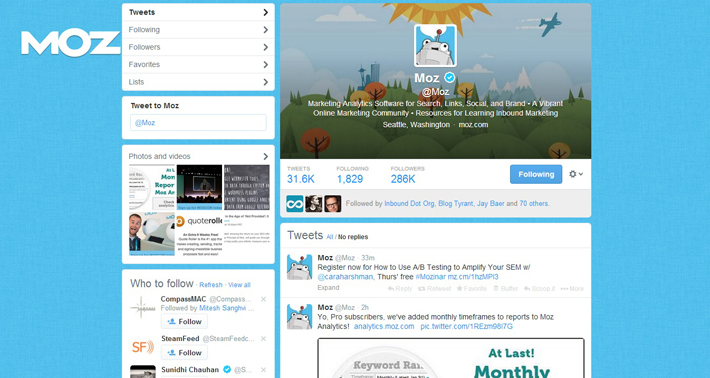 With the header image your Twitter profile can create much more branded experience to your followers. You need to be creative with what’s possible in a small space and try to highlight what people know best about you. The more you think about and engage with your Twitter header image, the greater likelihood of people following suit and engaging with your feed, and in turn with your company. Use a brand for your background. Be very creative to use colors text, graphics and language to give your background a catchy look. Don’t forget to check how the customized background appears on different screens and the kind of feel you get over your twitter. Nowadays hashtags have become great deal for marketers. While creating a branded hashtag you need to make sure that it’s memorable, short & sweet. A branded hashtags will not only help you to reach an existing group of people who are already interested in a specific niche but also give them a reason to talk publicly about your brand. Twitter is all about sharing engaging content in 140 characters. You can take advantage of this by making your own very own URL shortener to help brand your company as people share your links. You can do this simply by selecting a domain name and connecting it to Bitly. Listed below some branded URL shorteners. When considering the voice of your brand, you need to keep in mind that the personality of your company and the audience you want to attract. Your voice might be more refined and professional but you need to be consistent with it. If you have multiple people controlling the Twitter account, you should consider having a defined set of style rules to follow. Plan a tweeting approach which will showcase your expertise along with your closeness to your community. You can share great tips, link others to your posts, vouching your colleagues, and spreading good things regarding others. Research and make a list of the topics for your tweets. Make it inspirational and also interesting so that more people can join your topic for discussion. Search for people who are Tweeting questions which might of your interest and benefiting for your brand. This will help you in building relationship with your customers. Try to post quality content so that people Retweet on it and followers are fetched. Always put up events that you are participating or attending. Twitter provides you with an invaluable scope to be connected with points of influence within your industry very easily. You can begin the conversation just by retweeting to their tweets, reciprocating to what they’ve done which you liked. Just ask questions, engage in the conversations which they start or partake are some of the few options which you can always try out. In this way you will begin to generate opinion about the overall image of your brand and thus modify or change your concepts accordingly. 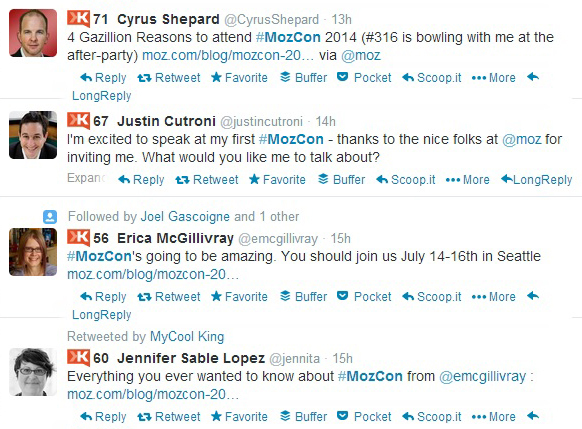 On Twitter, like in branding in general, consistency is key. So, say good-bye to random tweeting, and embrace the idea of posting value-adding and conversation-engaging tweets on a daily basis. To do it efficiently, have an assistant prepare a week or a month worth of tweets ahead of time, and upload them into an online tool like HootSuite or Buffer App (it’s free). Then, all you need to do is show up on Twitter for a few minutes twice a day to respond to mentions, thank those who have retweeted you, etc. Make sure that you use good different Twitter tools such as Tweet Deck to help you to post and also read the posts of the ones whom you’re following very quickly and easily. Keep this factor in mind that never be too much salesy to not just post about yourself, or how great services you offer, instead communicate with people, retweet any important & relevant content posted by people whom you’re following. Promoting your company or organization’s website, the Facebook page, and your email signature are some of the relevant things which you can do just to keep you on the live list. You can even publish the contents of your account directly to a particular section of your website. 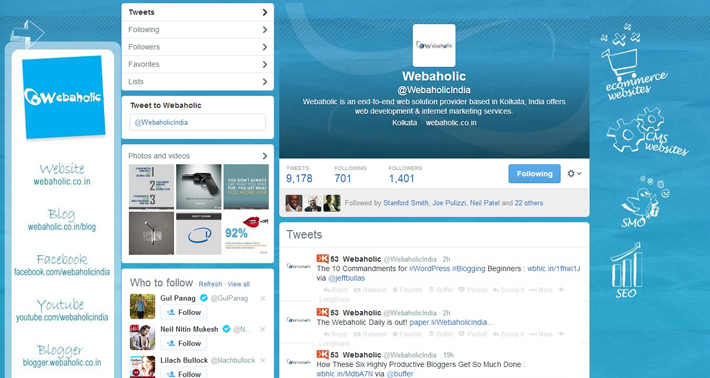 Having blogs and posting content directly to twitter are some of the options which are simple and effective. All these above mentioned points are really some of the very basic and important tools which can help you propagate your brand on Twitter and thus count your dollars! 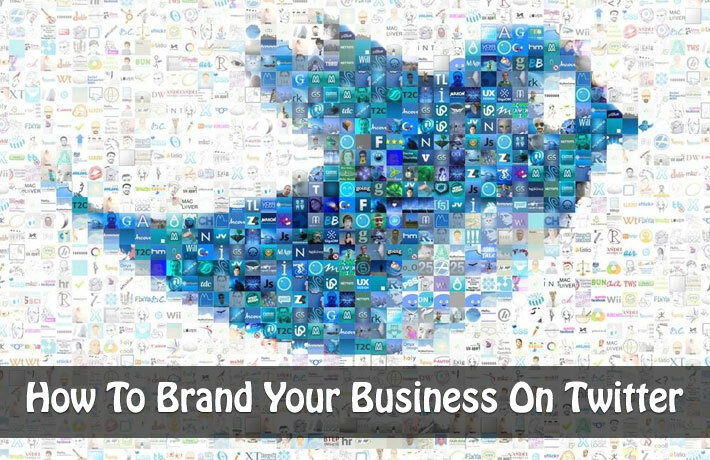 What other steps you take to brand your business on Twitter? Share your experience in the comments section below. Great post, Saha. I always enjoy reading such posts to remind me to check, and update, my own twitter account. First time I came across such a wonderful article. Very informative.